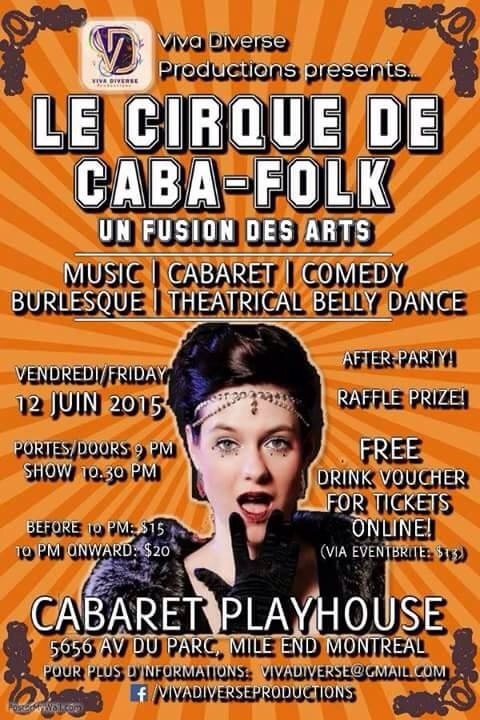 Viva Diverse presents: Le Cirque De Caba-Folk! Roll up! Roll up! On Friday June 12, Cabaret Playhouse will have the pleasure of showcasing a delightfully unique mixed bag of Montreal talent that brings you music, comedy, cabaret, burlesque, and theatrical belly dance. A fusion of the arts that has something for everyone! JASON YEAROW. A veteran in the stand-up comedy scene, Jason is one of Montreal’s most in-demand comedians and MC’s, providing non-stop laughs with his sharp wit and charisma.